Museum of Old Newbury's "Landlocked Lady" is ready for anything with her PORT•SACKS First Mate bag! 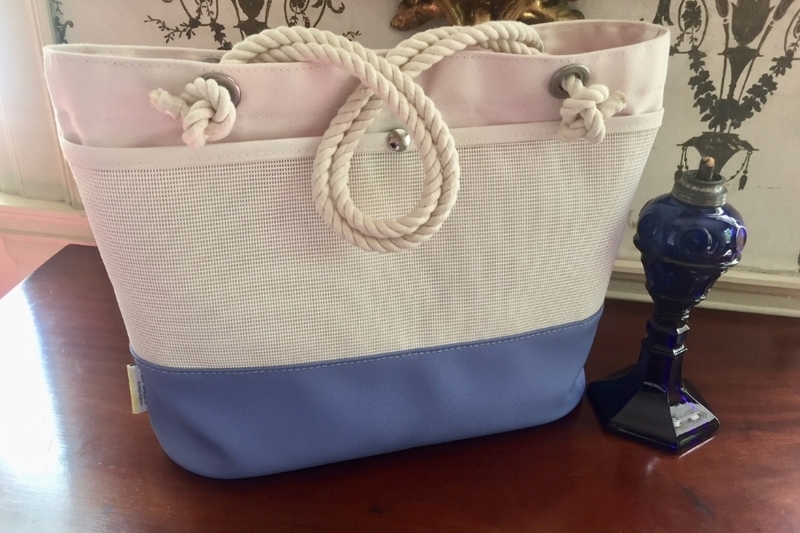 Everyone needs a "First Mate"
Newburyport’s own "Landlocked Lady" is styling with the first-ever First Mate bag, shown in Nautolex® Bluette vinyl and Sunbrella® Natural canvas. It is made of all marine grade materials and features a drop-down, zip-up closing placard, a full-width outer side slip pocket (with snap closure) and interior slip and zipper pockets. Select a PORT•SACKS designed bag or create your own. Pick your Sunbrella® , then couple that with our wide selection of Nautolex® or BoltaFlex® marine vinyls. We will take care of the rest so that your bag is one-of-a-kind. If only the Cushing family had PORT•SACKS bag to tote their treasures from ship-to-shore! Our newest bag, the First Mate, is displayed above on a 19th century side table (typical style of area crafters from the time), It and so many treasures can be seen at the Museum of Old Newbury, 98 High Street, Newburyport, Mass. This newest creation measures 14”Lx5”Wx12”H. Landlocked Lady, a pine ship carving by Newburyport's Joseph Wilson (c. 1850) that never made it to sea! 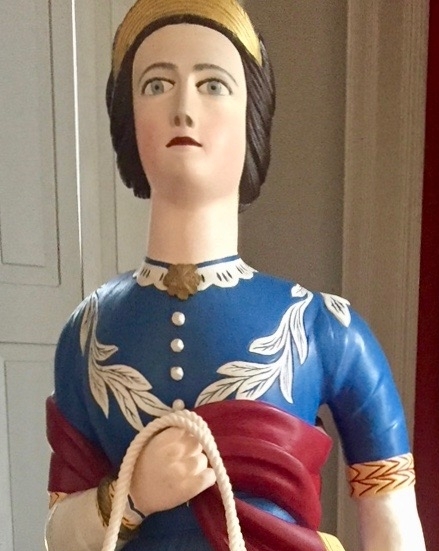 Pictured above with the Landlocked Lady, created c. 1850 and attributed to Joseph Wilson (1779-1857), Newburyport’s much sought after wood carver for many of the city’s ships and homes. Originally fashioned for a ship in Wilson’s Strong Street shop, the piece was never purchased and served as an advertising emblem for many years. By the end of the 19th century, the piece was purchased by a member of the Barron family and moved to the garden of Miss Ellen Todd of High Street. In the 1950s, the Landlocked Lady was given to the Museum of Old Newbury. After years of exposure in the Todd garden, much of the original pine wood had rotted away. Restoration of the piece was completed by Edward Piel and son. It is on display at The Museum of Old Newbury, 98 High Street, Newburyport, Mass. You pick the Sunbrella® exterior and Nautolex® vinyl bottom...we will take care of the rest so that your bag is unique to only you! Get started here!